Galaxy S9 was released back in March and boasts a number of great features that make it appealing to Android fans. The hardware comes with a 5.8-inch AMOLED display that boasts an incredibly-high density of 570 pixels-per-inch. Moreover, the hardware differentiates itself from a number of its rivals by coming without a notch at the top. While cutouts on smartphones have become increasingly prominent in 2018, they are still rather divisive amongst users. Instead, the Galaxy S9 boasts bezels on both the top and bottom of its screen that are very minimal. Galaxy S9 offers rapid performance across Google’s Android software thanks to the Exynos 9810 or Snapdragon 845 chipset housed inside. Units sold in the UK come with Samsung’s own processor while US markets receive Qualcomm’s offering. One of the Galaxy S9’s headline features is its camera that boasts a variable aperture. This allows the 12-megapixel sensor to switch from f/1.5 to f/2.4 depending on light conditions. During the announcement of the Galaxy S9 Samsung were eager to tout the capabilities of the Galaxy S9 in low-light. The variable aperture allows more detail to be retained in images overall. But now the South Korean flagship has been made more affordable with customers able to save as much as £50 if they decide to pick one up. Mobiles.co.uk recently lowered the upfront cost on one of its Vodafone deals from £75 to £25. The tariff offers customers 16GB of data in addition to unlimited minutes and texts. The 24-month contract is priced at £32 a month. Meanwhile, for those that are willing to pay a higher upfront cost for the device, another Vodafone plan on Mobiles.co.uk is priced at £23 per month with a £110 initial charge. This means the total cost over the course of the 24-month contract is £662. Such a figure is significantly lower than the £739 Samsung is charging for the product on its online store. EE is also offering a deal with no upfront charges at £33 a month. This comes with unlimited texts, minutes and 30GB of data. 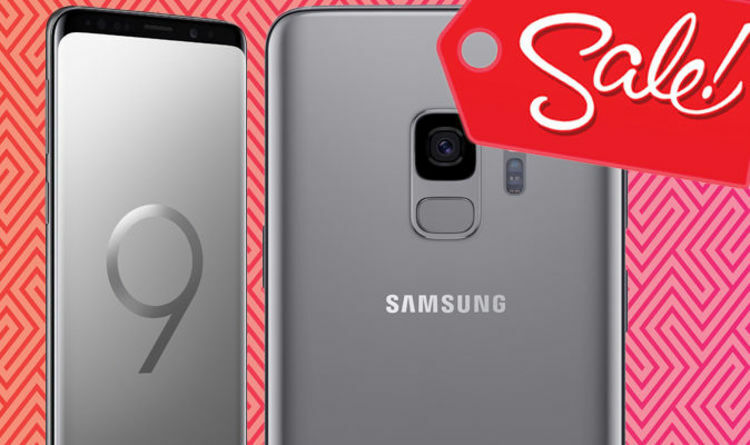 And, as part of the Mobiles.co.uk deal selection, customers are able to pick up the S9 in a titanium finish that is not available through Samsung’s official channels. Black, blue and purple colours are also available.